Will it be BENEFICIAL to all concerned. These principles serve as the basis for Rotarians’ commitment to Roary’s motto, “Service Above Self”. 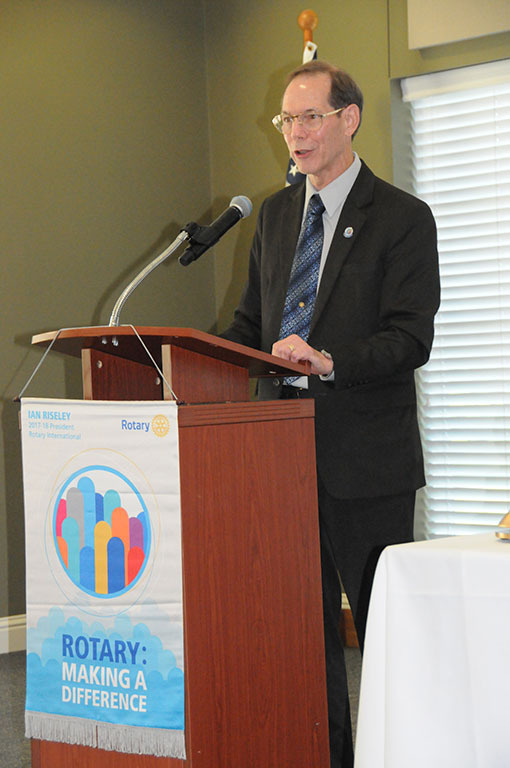 As a service organization, the Huntsville Rotary club seeks to serve the needs of our local community, as well as promote international goodwill through its youth exchange program and numerous service projects. If you are currently a member of another Rotary club, or someone who embraces the principles of the 4-Way test and would like to learn more about Rotary, I would urge you to contact us. And, come visit us Wednesdays at Noon at the Walker Education Center (1402 19th St. in Huntsville) for lunch and an interesting weekly speaker. In addition to learning about our community through our guest speakers, you can learn more about our many service projects, which include the Early Act First Knight character program for school children, the “I Like Me” book program for 1st graders, “Safety Town” for young kids, support for housing insecure children in Huntsville, our youth exchange and youth leadership development programs, Rotary water well projects in Nicaragua, our swaddling blankets project for kids in Nicaragua, our tree planting project, and Rotary International’s efforts to eradicate polio. You can also find us at Fair on the Square selling sausage on a stick, or at other Fundraising events. Rotarians are everywhere, putting our motto "Service above self" into action.